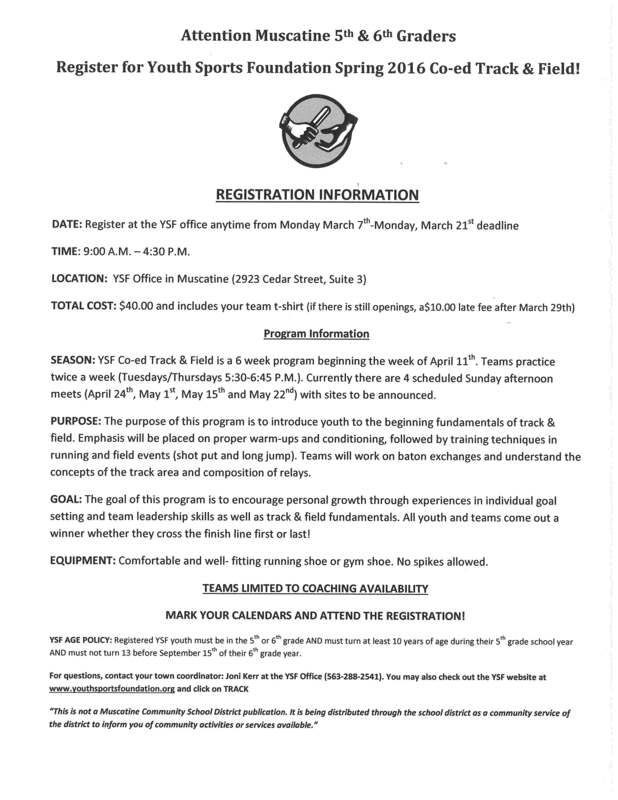 YSF is offering its’ Spring Co-ed Track & Field to any Muscatine school area 5th or 6th grader. Season begins the week of April 11th. There are 4 scheduled Sunday afternoon track meets. Those dates are: April 24th, May 1st, May 15th and May 22nd. Learn the basics of track and field, be apart of a team and set individual and team goals while having a blast!